Free Training to Get 25 Hours of Work Done in a 24 Hour Period! "FREE 59 Minute Webinar Reveals How an Engineer Working 50 Hours / Week at His Job Personally Works Just 2 Hours / Day On His Business, Makes Thousands of Dollars Extra Per Month, and How You Can Too!" In this Webinar, You Will Learn How To... Become 100% More Effective With Your Time Find Quality (and Cheap) Help for ALL Your Tasks Work Only 2 Hrs / Day to Manage Your Team Get in Profit and Finally Take Control of Your Life! 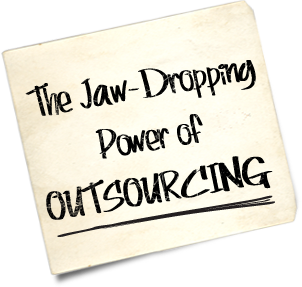 Outsourcing Revealed When You Simply Opt-In Below!